My Cutlet experiments finally ends here. I have tried to make cutlet before, but ended up in mess. cutlets will break on oil while deep frying or the cutlet drinks more oil. after all such failed attempts, here is my Just Pass Venture for you all. 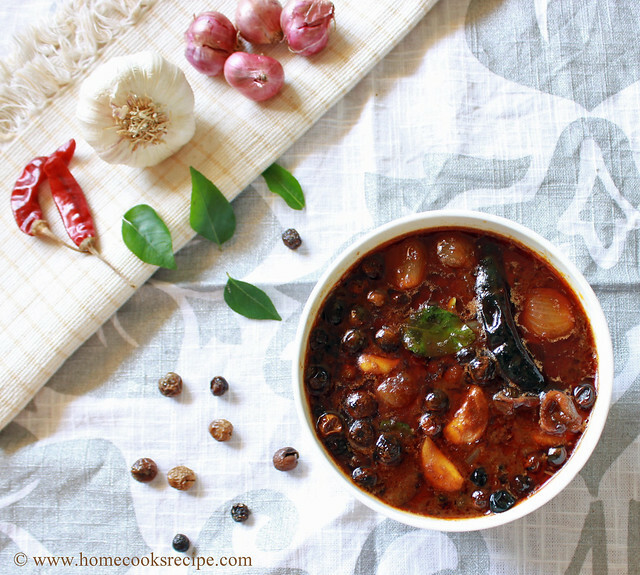 All Thanks to Divya's recipe and Namratha's recipe. 1. Toast 2 slices of bread, trim the corners, cut into small pieces and grind them into coarse powder.Now Bread crumbs are ready. you can also use readily available Bread crumbs from the bakery shops. 2. Boil the Potatoes, peel its skin, Mash them finely, refrigerate for 1 hour atleast. Finely chop the other Vegetables. 3. 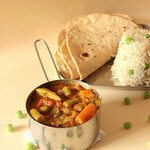 Steam cook the finely chopped carrot, beans, green peas and beetroot. after steam cooking, cool and mash them all together. strain the excess liquid from the vegetables. 4. Heat 1/2 tsp oil in a pan, add saunf, ginger, green chilli's and saute them. then add finely chopped onions and fry till it turns light golden colour. Now add salt to taste, Garam masala and corriander powder and mix well with the onions. 5. 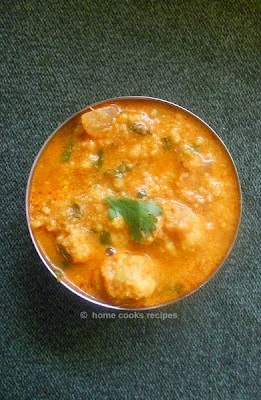 Now add steam cooked and strained Vegetables to the pan and mix well with onions and masala's. cook on low flame, till there is no moisture content. 6. Now add the mashed potato, corriander leaves and mix with the vegetables in the pan. 7. Remove from flame and let the vegetables get cooled down. 8. Add 1 tsp corn flour to the vegetables and mix with your hands. Then Dip 2 slices of bread in water, squeeze the water and just add the bread pulp to the vegetables and mix well with hands. knead them all together. 9. Then pinch a lemon sized vegetable mix and shape them in round shape. use cookie cutter to shape or a bangle. or even a round shaped tumbler. 10. 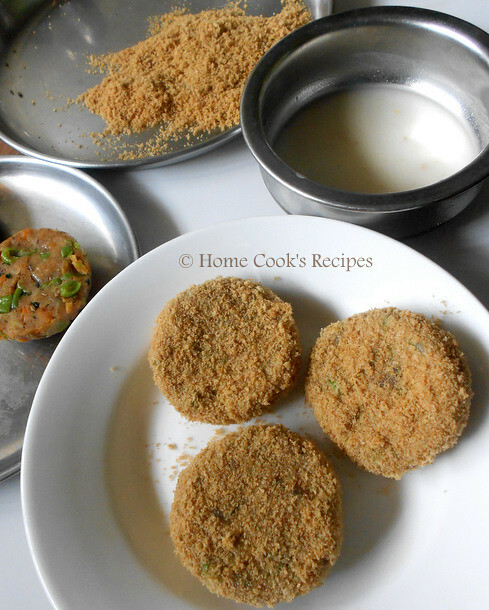 Dip the Cutlets in maida mix first and then wrap them with bread crumbs. 11. 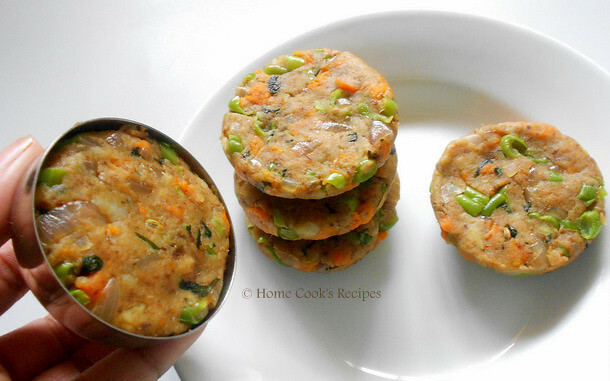 Arrange the wrapped cutlets in a plate and cover them with cling flim or with foil sheet. store the plate in fridge for about 30 minutes at least. You can store even overnight and thaw it for 30 minutes before frying. 12. 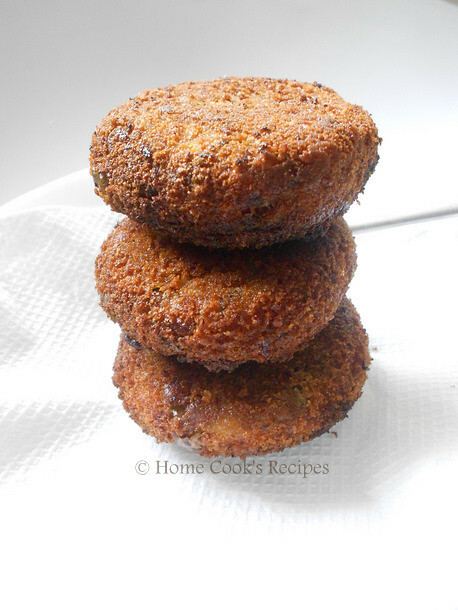 Heat 1/4 cup of oil in a pan and Deep fry the cutlets, till they turn into golden brown colour in medium flame. 13. Remove the Cutlets on Tissue paper, serve with tomato ketchup. 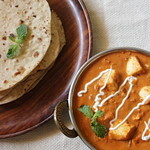 a cup of Masala Chai will make a nice pair! 1.If serving for kids, you can use green chilli paste instead of finely chopped green chilli's. 2. 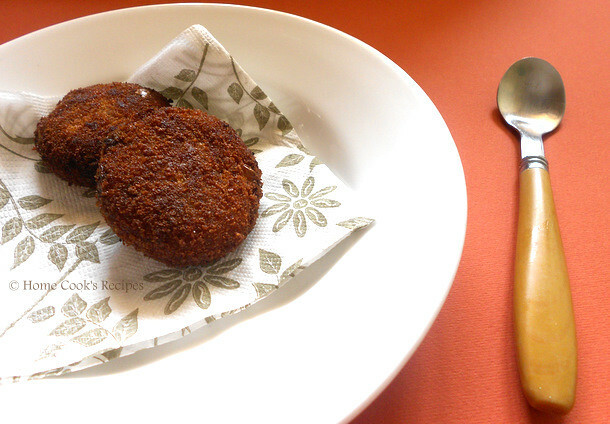 After storing the cutlets in fridge, bring the cutlets to room temperature by taking them out 10 minutes before frying. 3. Using Wheat bread or brown bread makes these cutlets an healthier ones and its tastes great too. This looks so beautiful. Browned all over and crisp. Love cutlets a lot. Yours are cute, delicious and perfect cutlets. nice yummy and crispy cutlets. The cutlets look perfect. I like your idea of using a katori to get perfect circles. Cutlets have come out so well Lavi! What perfect looking cutlets these are... the coating looks so crisp!